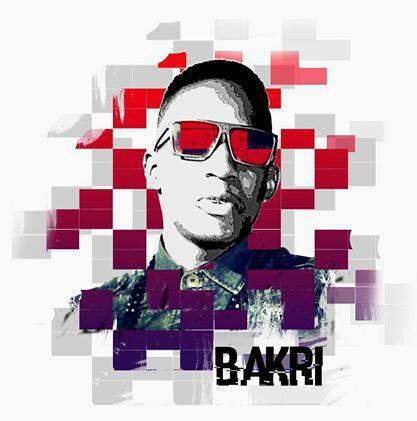 Bakri mat is a talented Ugandan vocalist, songwriter and fashion designer, who has been singing for as long as he can remember. His music is heavily influenced by passion having been a backup and song writer to his elder brother jamie wood. Some say he sounds like kevin lytle others say he sounds like orezi, he says he sounds like Bakri. In 2013 he embarked onto a solo career with hit songs like SOLATIDO and 18 & OVER, these have made the young gifted performer the next artist to watch out for from East Africa. He has worked with established Ugandan producers such as Washington,clyde, shidi beats, Dr, fizol .He has chart topping releases such as "18 and OVER" , SOLATIDO, Nkwata, Mariama and more music is coming that are kampala hit songs from 2013 upto date. he is under Wajjid promotion Management. His maiden album "CHIDULA" will be released in June 2015 and will be available on iTunes and online music stores.